In today’s edition of our continuing Not A Word about Hockey series we’re going to talk to the top netminder of the 2017-18 season, silver and bronze Junior Hockey League medalist, JHL Challenge Cup champion – SKA-1946 goaltender Nikita Lysenkov. - I live by myself so I decide on my diet. I really like ravioli and I don’t cook much. When I’m with the team, it’s our doctor who decides on our diet. My favorite meal is potatoes with mushrooms. - I don’t have a pet yet. Right now I don’t have the time to take care of pets. - I like to stay active on vacation. I like to travel. I enjoy being on the road. I dream of visiting the USA, Japan and United Arab Emirates. - I like to go to the movies with my friends. It’s pretty standard. - There are a lot of movies where I enjoyed the plot. If I had to choose one, I would say it’s Legend/Tupac Shakur – it’s a story about a famous rap artist. - My favorite actors are Al Pacino, Tom Hardy and Leonardo DiCaprio. Brigade was a TV-show that really got to me. - I usually listen to rap music. The latest song I have added to my playlist is Never Stop by Future. - I’m a regular guy from a regular family. I associate my character traits with that of a lion. If somebody attacks me, I always fight back. I’m always for justice. I say the truth no matter who I face. - I have never felt like not going to the game. I love hockey very much. - A real man must be strong in every aspect. Not only physically but spiritually as well. He needs to be able to answer for his words and support his family and country. Man is not allowed to be weak. - Whenever I meet a new person, first thing I look at is how they’re dressed and how they talk. I’ts important to me how a person behaves and talks. - I’m not superstitious. I think superstitions were invented by men a long time ago because they couldn’t explain the reality otherwise. But I guess you could call me a bit of a gambler. - I don’t have a role model when it comes to men’s attire. But I have been always told that I know how to dress well. - I don’t pay attention to clothing brands. Black is the dominant color in my wardrobe. I try to wear classics and athletics. I don’t want to look the same all the time so I taught myself to mix it up. - I don’t have a favorite perfume. I currently use Lacoste. - I don’t grow beard. I think girls are more interested in guys with real man qualities and not beards. - My ideal girlfriend is the one who can share my life views. A truly idyllic relationship is when you have two people of the same mind. I want her to be kind, caring and down to earth. - Serious relationship can’t be an obstacle in athletic career. On the contrary, they will help. It’s important to know that someone’s waiting for you at home, someone who’s going to listen and support. - If I’m going to have a son, I will think about whether or not I should sign him up for hockey. If he’s going to like the sport, I’ll let him play it for sure. But I’m not going to force him. - If it weren’t for hockey, I would be in music or become an actor. - I study at a Physical Culture Institute but I rarely go to classes. - Good education is very important in today’s world. It’s better to have several. But it’s only a start. You need to be able to use your acquired knowledge as well. I was 16 years old and I needed to get a report from a psychiatrist, so I went there with my mom. It just so happened that my mom and I looked at each other and burst out laughing. The psychiatrist almost thought that I was mental. I understand now that you need to be serious in such matters. 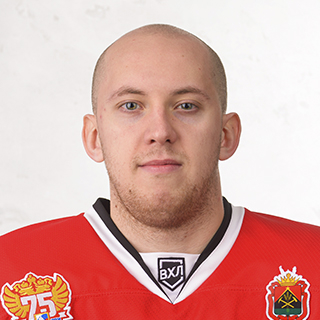 Not a lot of people know that when I played for JHC Spartak Moscow, I was still in Grade 11 in Chelyabinsk school. It was difficult but it had to be done.